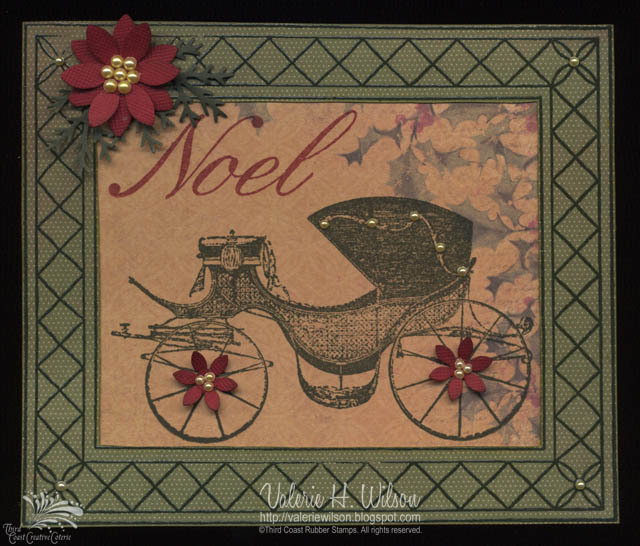 Valerie H. Marshall: Third Coast Creative Challenges - Holiday Theme! Third Coast Creative Challenges - Holiday Theme! The theme for the first Third Coast Creative Challenge Contest is "Deck our Blog with Boughs of Holly" so they're looking for Christmas and Winter themed entries! All forms of art and styles are welcome! They would love to see paper projects, altered art, jewelry and even scrapbook layouts! So get stamping and enter the contest! The grand prize is a $50 gift certificate to Third Coast Rubber Stamps to be drawn at the end of the month after the contest closes on July 30th! You have loads of time to play along!! 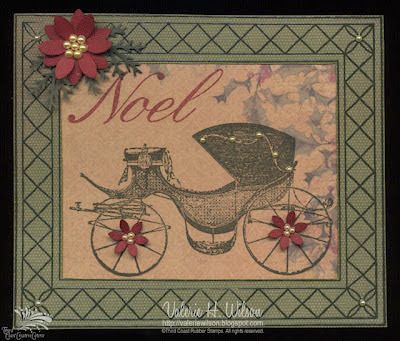 Here's my Holiday themed greeting card featuring Third Coast Rubber Stamps!